Last weekend I made the exciting discovery that my JC Litas had finally arrived from the US (I’ll be doing a review of them and the company I used soon), unfortunately they were a 35 minute drive away and I was without a car. To make matters worse the depot was closing in an hour and a half. So I did the only thing any self-respecting only child could do and called home. 20 minutes later we were on our way. I know what you’re thinking, “well that’s a nice story Gem, but what’s it got to do with neon nail varnish?” Well, here’s the thing, I was wearing sandals to collect my Litas and in my crazed rush to leave the house I forgot to pick up socks. Any normal person with an ounce of sense would think to wait until they have socks to try on their new shoes, but I’m probably not that normal and my ounce of sense was AWOL that day so I popped them straight on….commando! My mum, without looking to see what I was doing on the back seat suggested I didn’t put them on until I had socks or I’d get blisters. Blisters, smisters I thought. I’m only sitting in the car with them on afterall! If you got this far, I bet you’re thinking “right, so you picked up shoes without socks and then wore them commando….you’re so badass Gem! 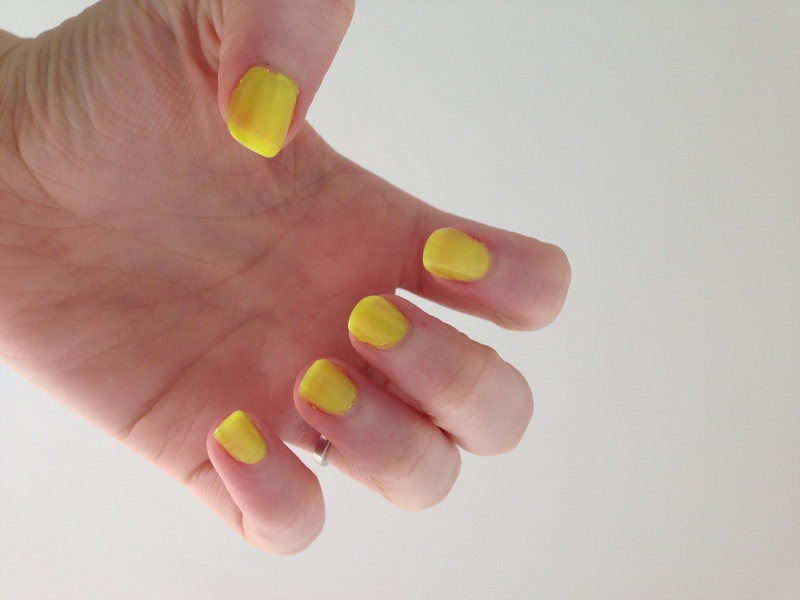 I still don’t get what this has to do with nail varnish?”. My parents suggested we pop into town for a spot of shopping and some lunch, and being the kind of girl who loves both shopping and lunching I was totally on board. In the 5 minute walk between the car and the shopping centre, I just knew I needed socks, so I popped into Primark which is where I discovered these little beauties. 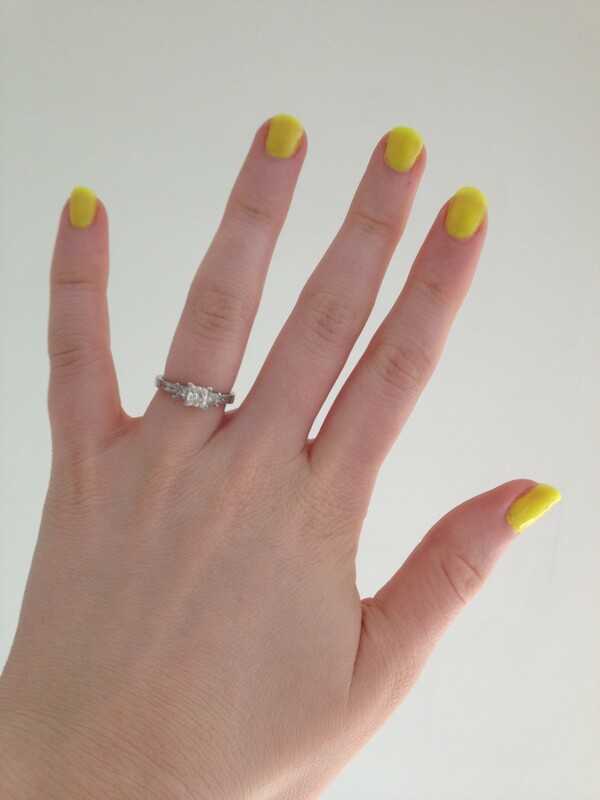 See, I told you we’d get to the nail varnish talk soon! I’ve had a bit of a love affair with neon for a little while now, but have struggled to find the exact colours I was looking for so this little set was just the ticket. 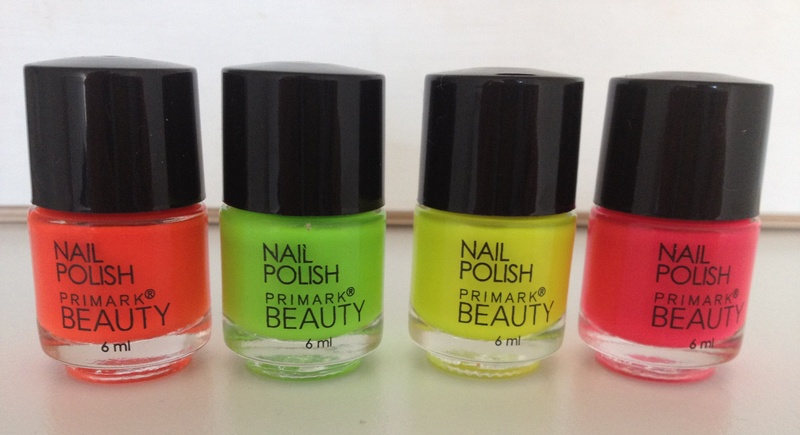 For just £2 you get four 6ml polishes in neon hues of Orange, Green, Yellow and Pink. Granted you probably need to apply 3 layers before they’re fully opaque, but what were you expecting for £2? They also have a bizarre sweet/fruity scent to them, but this doesn’t seem to linger once dry. So what are you waiting for? Grab some sunnies and we’ll get on to checking out the swatches. Please ignore my poor application, I was in a rush to swatch them all for you before going out. 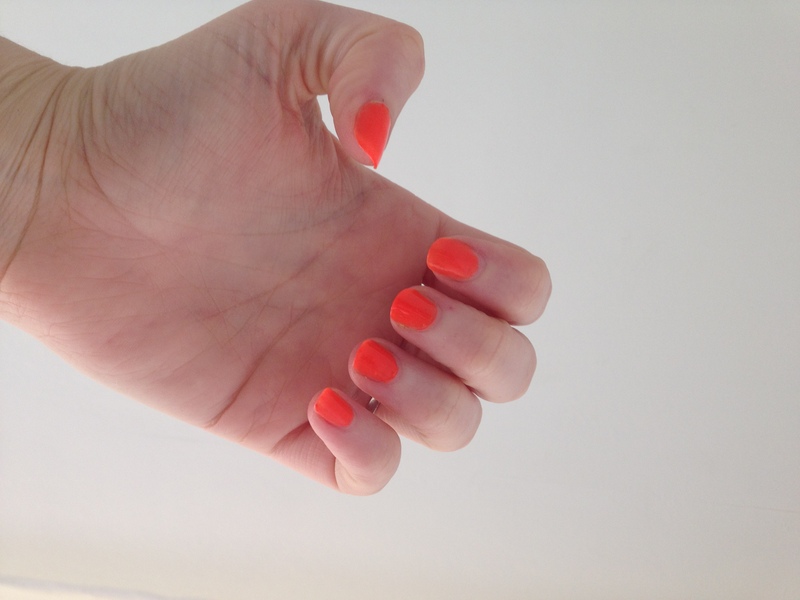 Here I’ve shown the orange polish after two coats. 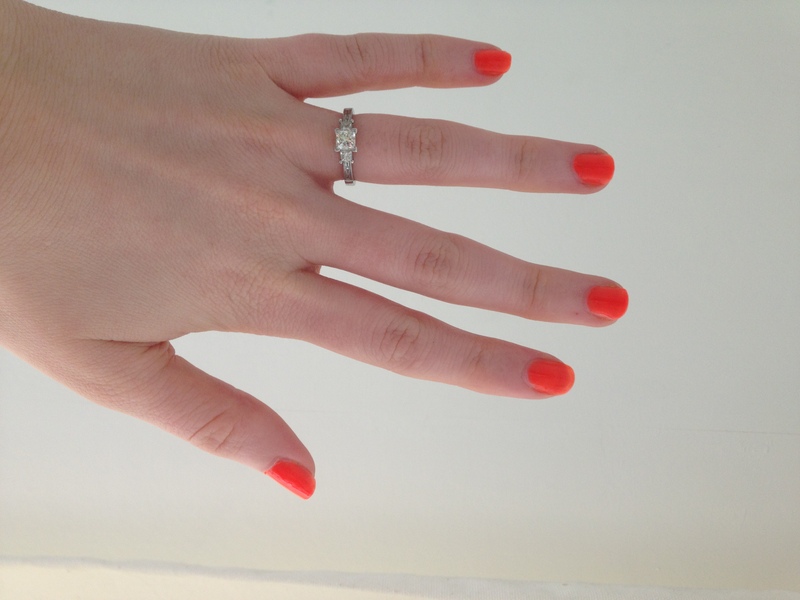 It is a true neon orange with reddish undertones which makes it pretty wearable. This is one of my favourites from the set. 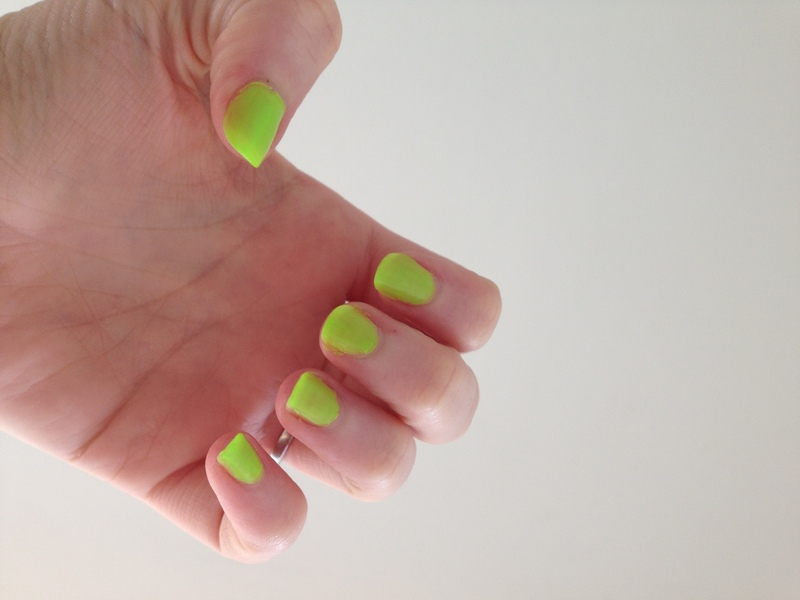 Perfect for that I just high-fived Slimer* look. This probably needed more than 3 coats to be truely opaque, but like I said before I was short on time. For best results I’d probably suggested using a white nail polish as a base with this one. 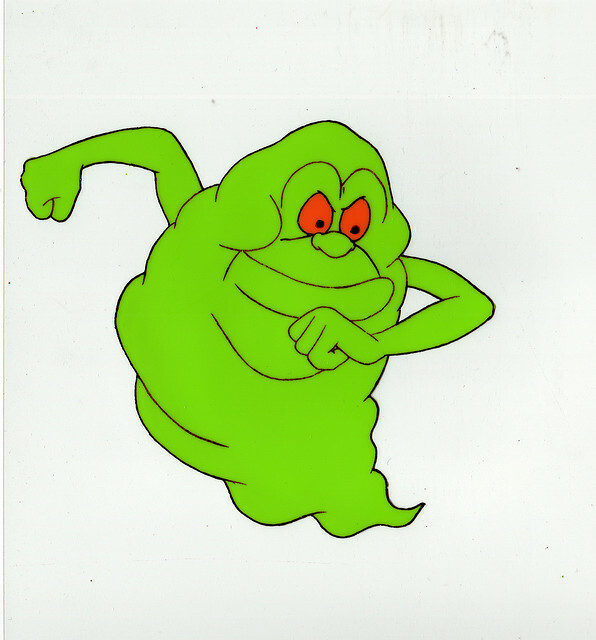 *For those not born in the 80s this is Slimer. Of all the nail varnishes, I think this is the one I’m least likely to use. It has a slight shimmer to it when applied and appears streaky after 3 coats. Again I think this is one that would benefit from a white base coat to make it fully opaque without applying 5,000 coats! 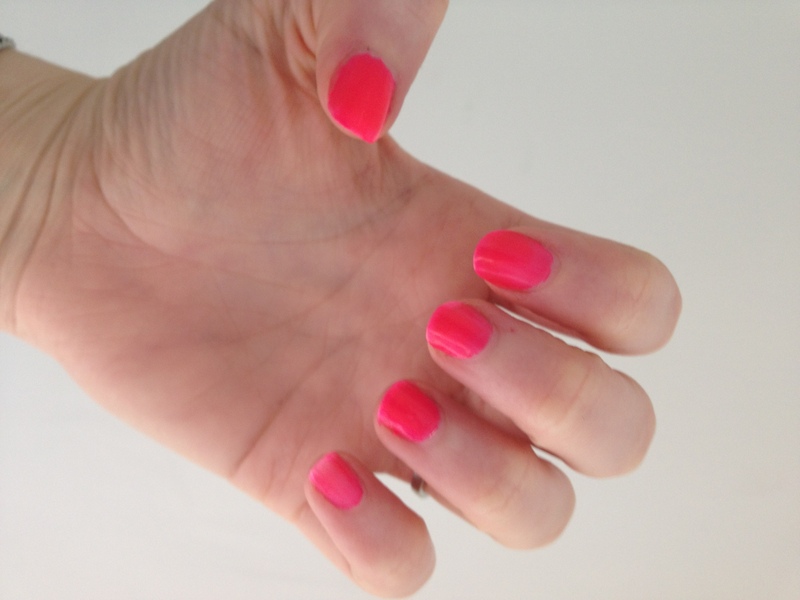 This one is my absolute favourite, ticking the boxes of being both a true neon pink and completely wearable. This was taken after two coats and was opaque in one coat on some of the nails. 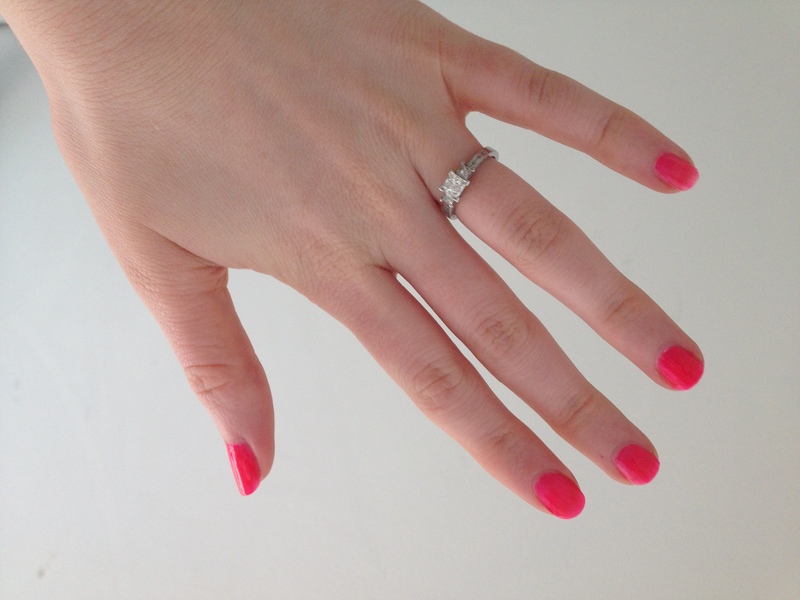 I’ve got a few nail art ideas in mind for this little beauty to keep an eye out for it in future posts. 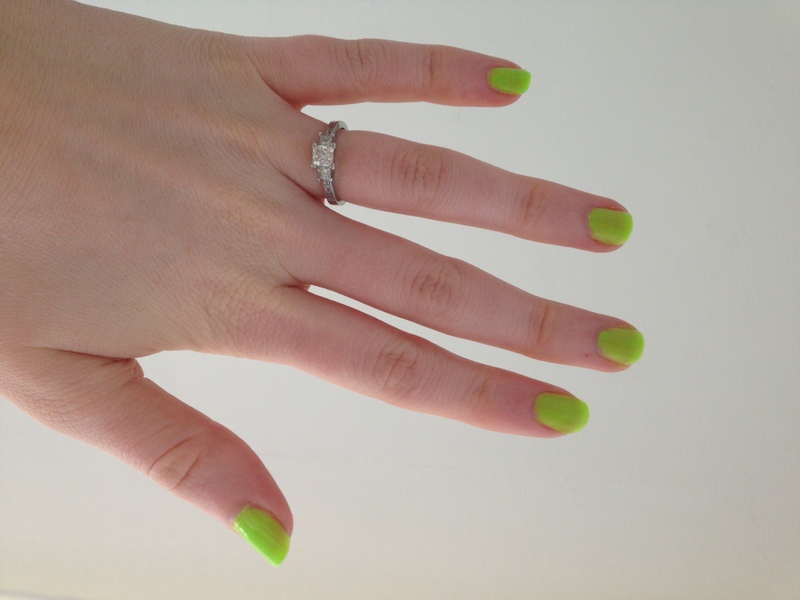 Will you be rocking neon nails this Summer?